WE SELL COMPUTER HARDWARE & SOFTWARE. SEND EMAIL TO US AT CPU,INC. TO PLACE AN ORDER. SPRING CLEANING SALE! - MAKE AN OFFER! CLICK HERE FOR TONS OF NEW & USED WINDOWS IBM PC & MAC STUFF FOR SALE! * Click HERE to fill out a form to request a PRICE QUOTE on any product. * Click HERE in order to see some of our CURRENT SPECIALS and cool stuff! TARGA 2000 DIGITAL VIDEO EDITING CARD! Dealer Cost: $3956. Make Offer! Fits PowerMac 8100 and Mac Quadra 840/AV. Broadcast Quality Video, CD Quality Stereo Digital Audio. Click HERE to make an offer or to request more info! SGI INDIGO, 3D Graphics!, 17" Color SGI Monitor, Hard Disk, Keyboard, Mouse, Documentation, Ready to Go, complete! So Cool! This is your chance to own an SGI! Originally cost $5400.00! Make an offer! Also available for RENT. Computer, Monitor, Keyboard, Mouse, Switcher, Lightwave 3D Animation Software, CG, Paint, Complete! $599! VR Goggles work with PC or VIDEO, Includes Head Tracker and CD of Games written in 3D! $2195.00 Digital Non-Linear Video Editing System! Disk Arrays also available! Overlay CG Titles, page turns, wipes, fades, flips, transitions, cuts, special effects, digitize video, perform nonlinear editing. Great for Wedding Videographers, Corporate and Broadcast Quality Video. $399. Outputs Mac screen onto any TV. Nubus Card. Fits MacII, MacIIci, Mac Quadra, Centris 650. Use to record screen on videotape, use for presentations on TV, etc. $899 Great for Wordprocessing, School, Kids computer, or for Grandma to send Email and to get on the Internet! Motion Sensors, Lights follow you from room to room, drapes open! Lights Dim, Music turns on. Generate a Smart Home. Mac and PC software available too. Use your PC to control your lights. 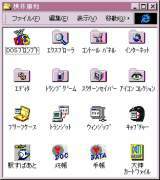 Japanese Microsoft Windows95 and Japanese Windows98 available for sale. Kanji, Katakana, Hiragana! Do Japanese Wordprocessing, Japanese Dekstop Publishing, Japanese Internet, and more! Chinese and also Korean available! * IBM, Compaq, HP, NEC, ALR, AST, Toshiba, Presario, and More! * Click Here for specials on Media 100, miro, TARGA, Adobe Premiere, Mac or PC. * Click Here for specials on Macs or PC's with Adobe Photoshop, Pagemaker, Quark, and more. * Click Here for Japanese Wordprocessing, Publishing, Translation, or Language Learning. * Click Here for 56K Modems, Web Design Software, Routers, Web Pages Designed, etc. * Fax your Shopping List to us at FAX: 808-591-0094. * Click Here to see our SPECIALS of the MONTH! WE HAVE OVER 200,000+ PRODUCTS! * Call us and ask us for a Price Quote at TEL: 808-591-1278. * Click Here to see what products are NEW and HOT! * Medium/Small Business, Home Users & Personal orders ok, too! * We are geared to be able to help everyone! * Call or email for special pricing on large bulk orders of quantity 10, 50, 100 or more products. * Discounts on complete systems bundled together, cpu, monitor, printer, sw, scanner, etc. * Get together with all your friends/associates and combine your orders together! Simply fill out this form and click the SUBMIT button to request a price quote. Now type the description of the products you're interested in. We'll give you a PRICE QUOTE. Please specify what qty you need, the part number if you know it, preferred brand, and description. How did you hear about us? What Search Engine? What URL did you just come from? If you get a message box saying "Are you sure" simply click OK to continue. If you have problems submitting this form, you can send the information via Email, Click here. RAM, Hard Drives , Upgrades, Monitors, Scanners, Printers, and More! $ Email us with a list of items you want to order and we'll email you a PRICE QUOTE! Browse, Search, and ORDER Music CD's ONLINE! S SalesCenter Home Page - Cool!
? Click here to email our technical support specialist! Click here to try to stump our Mac specialist! Send an instant message to CPUINC's PAGER. We currently have: Visitors viewing this page. Fact: The Skipper on "Gilligan's Island" had a real name on the show, too. It was mentioned on the castaways' radio during the newscast about their ship's disappearance. The Skipper's real name on the show was "Jonas Grumby". Press CTRL-D NOW to BOOKMARK our Page.